Christmas is magical in Morzine! Aside from the obvious amazing Portes du Soleil area, with 650km of piste and 200 lifts meaning a huge area to explore on your skis or snowboard, the town of Morzine pulls out all the stops to make Christmas special for everyone. Whether young or old the town has something to make Christmas magical for you! 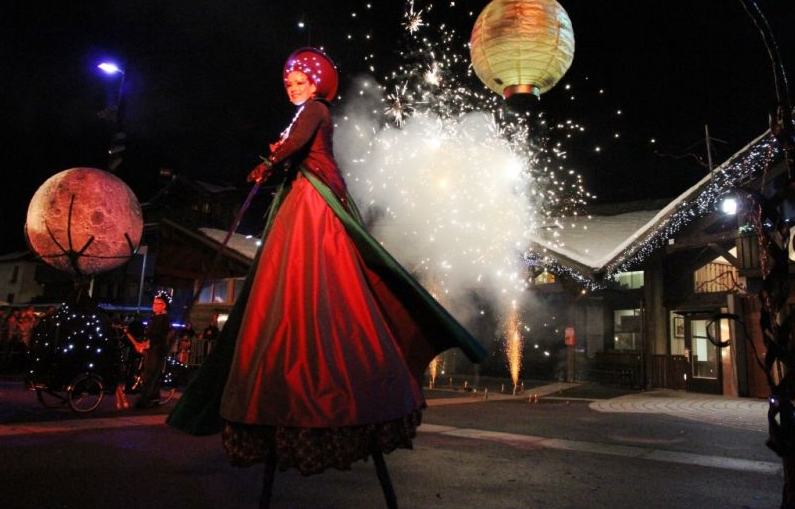 This year Morzine will have fireworks along side the Torchlit decent of the Pleney in Morzine. We will also have lots of special shows for the children, music in the streets, Christmas afternoon tea and much more! Imagine just how special it can be to have your Christmas festivities taken care of by our amazing chalet chefs and hosts, yummy Christmas Fayre, games and even the odd Christmas jumper thrown in, what better plans to have for Christmas than spending it with Mountain Mavericks in Morzine?! We still have some availability at our Kaplamaki and Atelier chalets across the Christmas week and your kiddies can go free! Take the stress out of Christmas, no cooking, no washing up and a cosy chalet with beautiful Christmas decor! It’s a real white Christmas guaranteed! Please do get in touch for pricing and details! Hope to see you soon! Previous: Revitalise your Ski Wear! Next: Mountain Buggy and Mountain Mavericks partnership is GO!